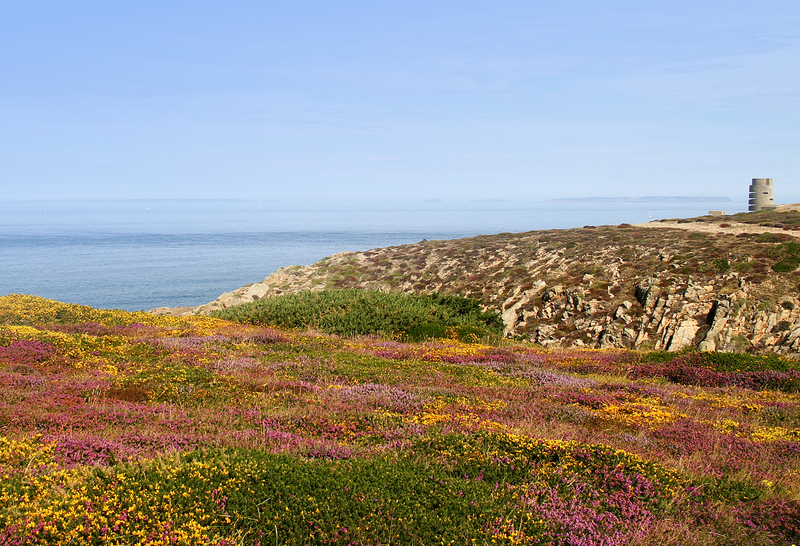 With obvious concerns about how Jersey’s choughs may contend with the potential threats in their environment, it is reassuring to hear these thoughts on the birds that naturally recolonised Cornwall. 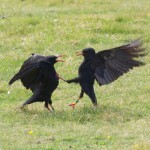 Cornish Choughs note that choughs are really feisty, they certainly punch above their weight using their feet and talons as weapons, often tackling birds much bigger than themselves. 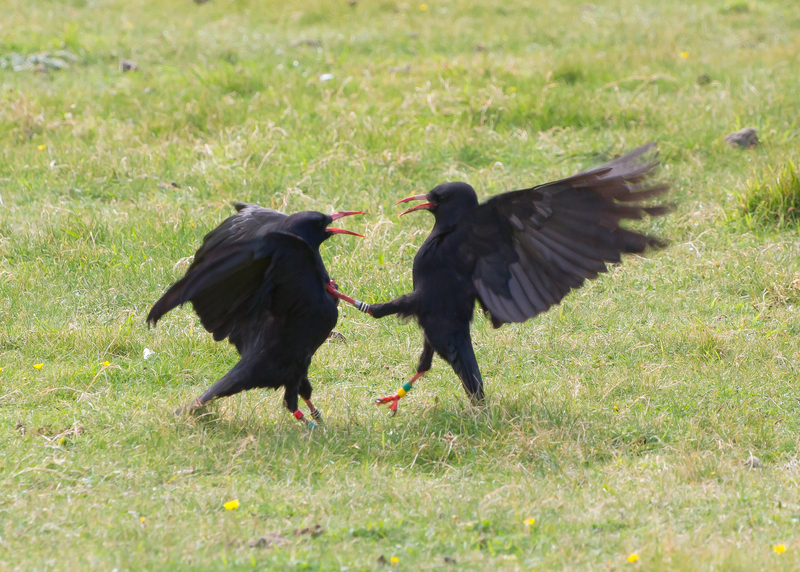 Sometimes they make contact in mid-air, it is nail-biting watching a male chough attempt to grapple with a peregrine and the famous Lizard male sustained a serious injury to a leg a few years ago after fighting off a herring gull. Choughs often walk along with a pronounced limp and can have slightly deformed legs where they have broken and healed wonkily! These images by Colin Seager show immature choughs practice fighting – all good preparation for defending a territory in later life. 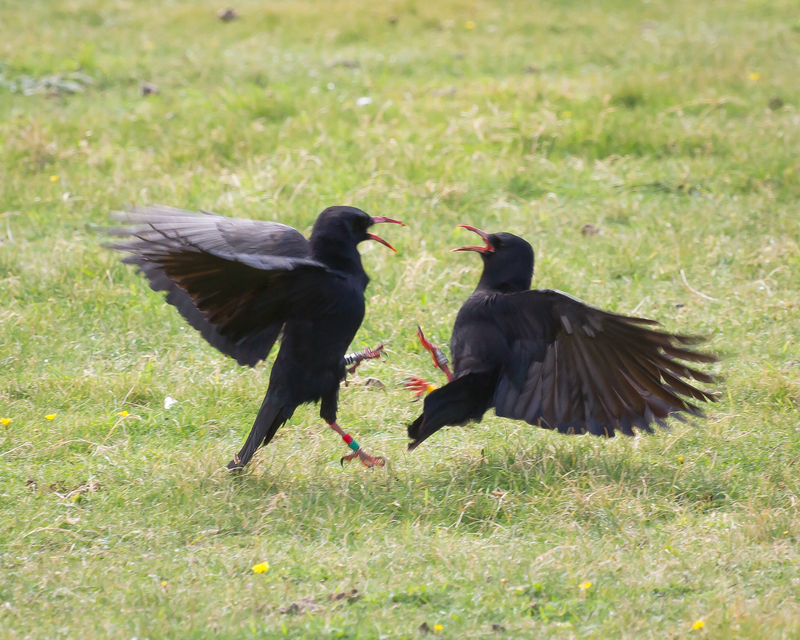 Claire Mucklow from the RSPB’s Cornish Chough project personally adds that from her experience choughs think they are invincible – and mostly they are!